December is the month for Bōnenkai 忘年会 (the end-of-year party) in Japan. The term literally means ‘forget last year’ gathering. What is meant to be forgotten is all the ills of the bygone year (and I assume good things can be still be remembered). Today is my last attendance at the English Club at the Tokyo Metropolitan government and Fukushima-san organsied a farewell party for us this evening. 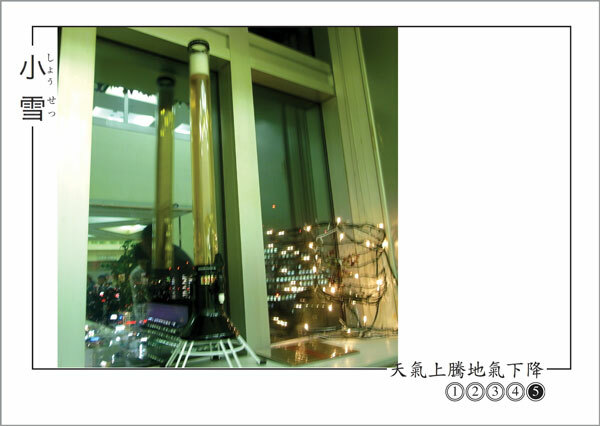 Just as (at the welcome party two and a half months ago) before, the Biru Towa (Beer tower) stood tall on a window sill of the 32nd floor cantine at the Tokyo Metropolitan Government office building no. 1. The golden liquid sparkled against Tokyo at night, which is now glimmering with its newly adorned Christmas lights. The first biru towa marked our first 20 days in Tokyo and this marked our last night. Around us in the restaurant, there were many other bōnenkai parties. The atmosphere was festive. The heating is on in the building, but we now appreciate the warmth. In many ways this was also a bōnenkai for me, a time for me reflect on the three months spent in Tokyo. The club has been one of the best aspects of the residency. Here I have made some friends with whom we shared some great adventures. It has also given me insights into contemporary Tokyo living which I would not have access to otherwise. These will not be forgotten.